There are a few towns in Colorado perfectly situated to stay and ride - Aspen is one of them. 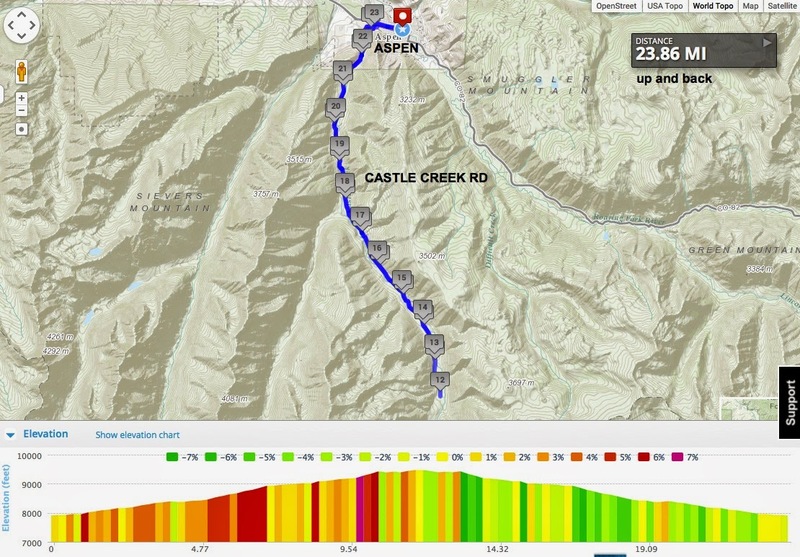 Aspen is a beautiful location to plop yourself down and ride in various directions - out and back or happily looping around the area on a bicycle. Depending on your desired ride distance, these rides can be combined or done separately allowing for time in the day to also hike, fish, eat good food or sit on a patio with a cold beer, whatever makes a weekend in the mountains just right for you. This past weekend I played in Aspen, taking in even more rides and exploring this wonderful Colorado town. As I rode along I couldn't help but think - forget Europe, if I was a pro rider and paid to do this - I would live in Aspen, Colorado. 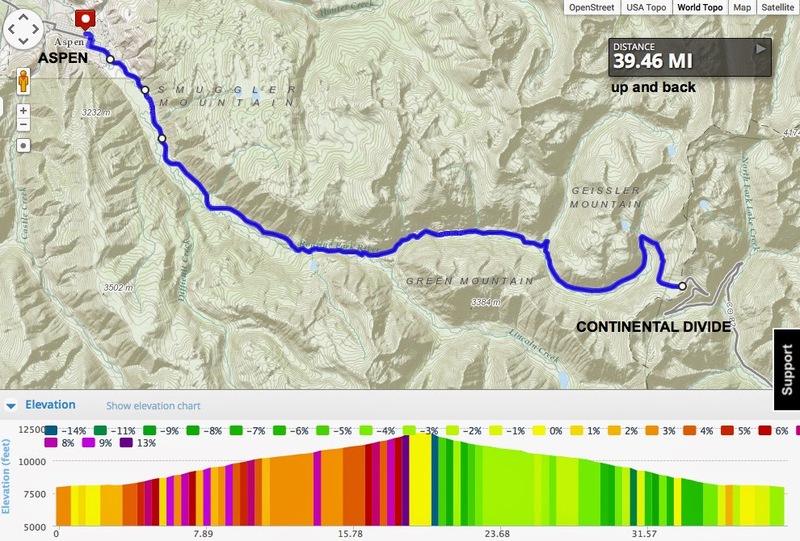 I like all of these rides because the roads vary enough to allow changes in gearing, which to me, means a perfect mountain climb. 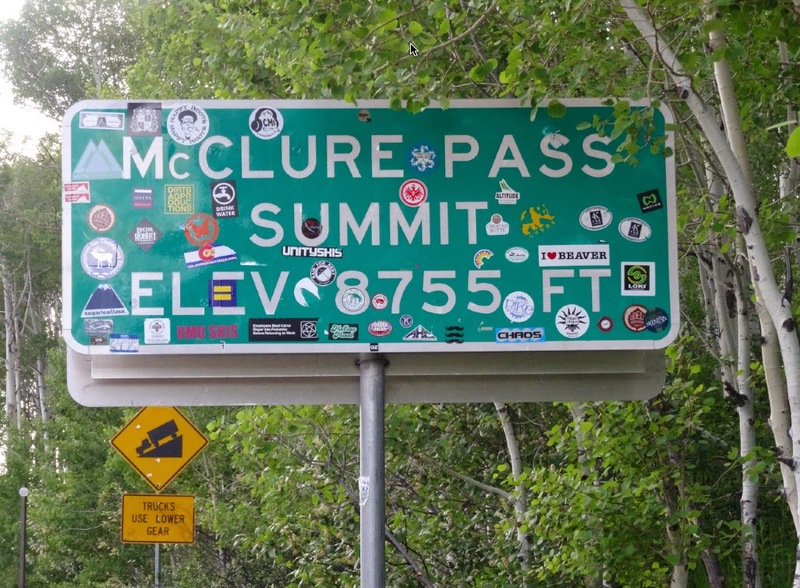 Be aware that the road to McClure Pass has no real shoulder, also be aware that the road surface when descending the west side of Independence Pass has dips, bumps, potholes and patches. 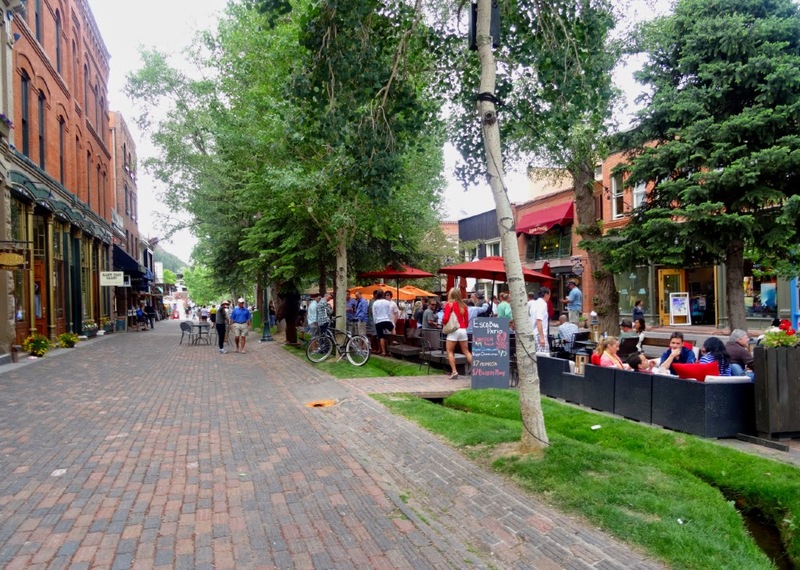 The town of Aspen is a wonderful with good restaurants and plentiful hotels or campsites (I usually camp). 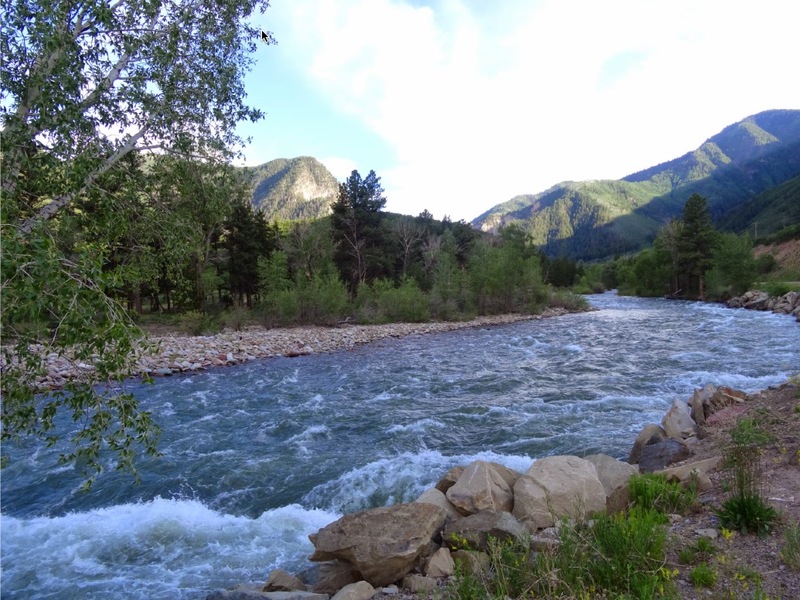 The Rio Grande Park in Aspen or the Aspen Recreation Center make for a good starting points for any of these rides, or you can depart from your accommodations. 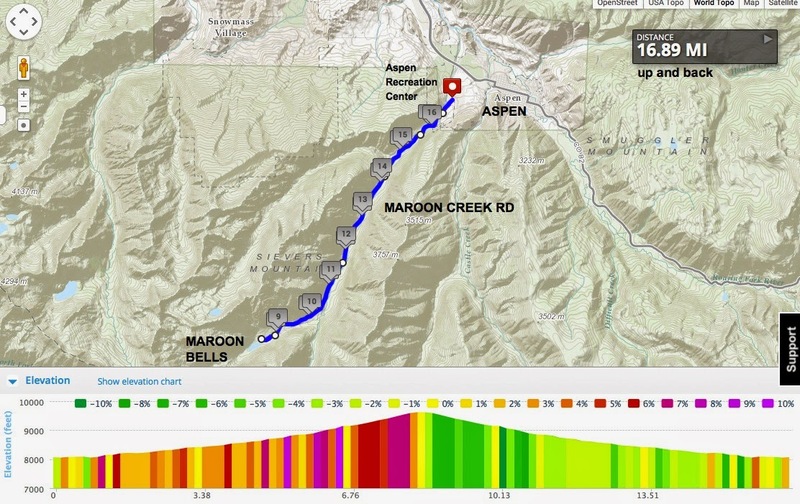 My suggestion for the top two must-do rides would be Maroon Bells and Independence Pass. 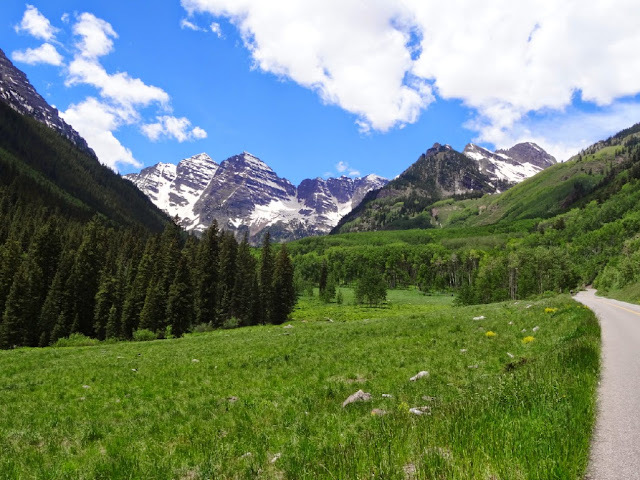 The Maroon Bells are a Colorado geological landmark, they are truly special. This road is a pure pleasure to climb. 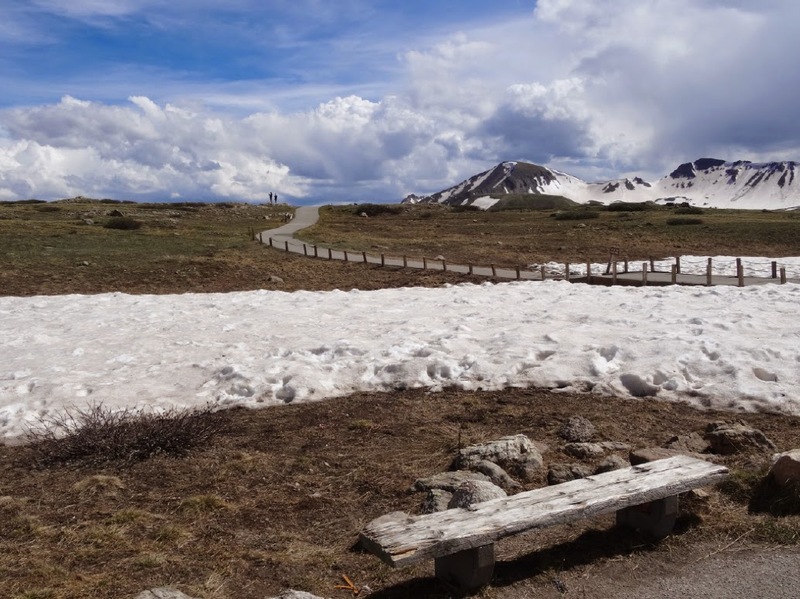 The road is closed to car traffic (tourists being shuttle to the top via bus) from 9:00am-5:00pm, resulting in pure heaven for cyclists. With this kind of quiet, you will hear the river flowing and birds singing along the route. 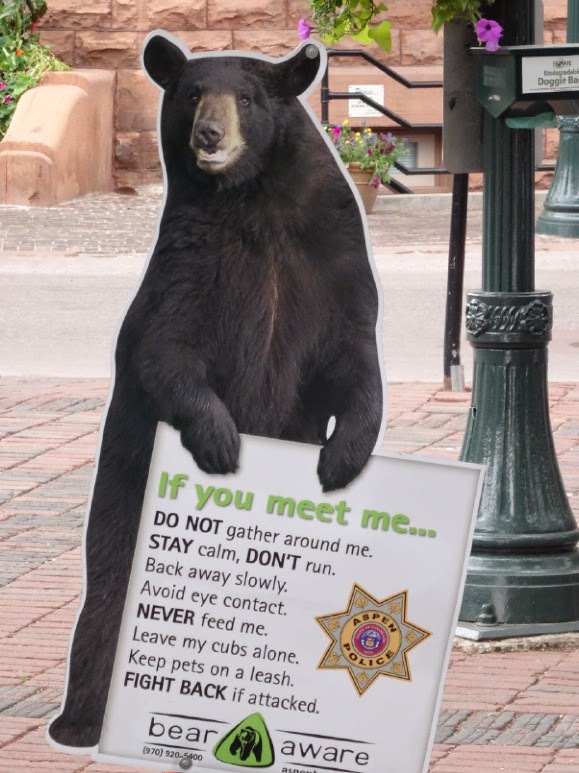 You will also likely see deer, marmot and maybe even moose. A highly recommended ride, rated difficult, but the views entertain. Free to cyclists, $10 for cars (when road is open) before 9:00am or after 5:00pm. Another relatively quiet road because the only people driving up this road are locals or those going to the Pine Creek Cookhouse ($$$$). The peaceful beauty is a real treat. Easy to access and ride (although rated difficult), the descent will delight. 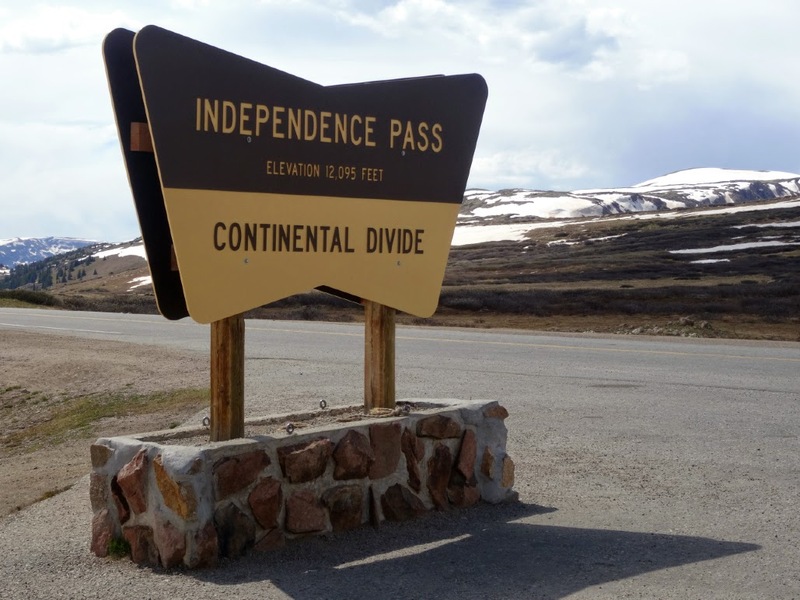 Last mile to top of Independence Pass, just around that corner is the top! Yes, it was worth the effort to get to the top of this mountain! McClain Flats Rd parallels Hwy 82 taking the high route, this road offers sweeping views of the mountain range encompassing Aspen through Snowmass and beyond to Mt Sopris. No shoulder, but usually light traffic, this rolling road is a gem. Crossing Hwy 82 is made easy by using the signal traffic light. 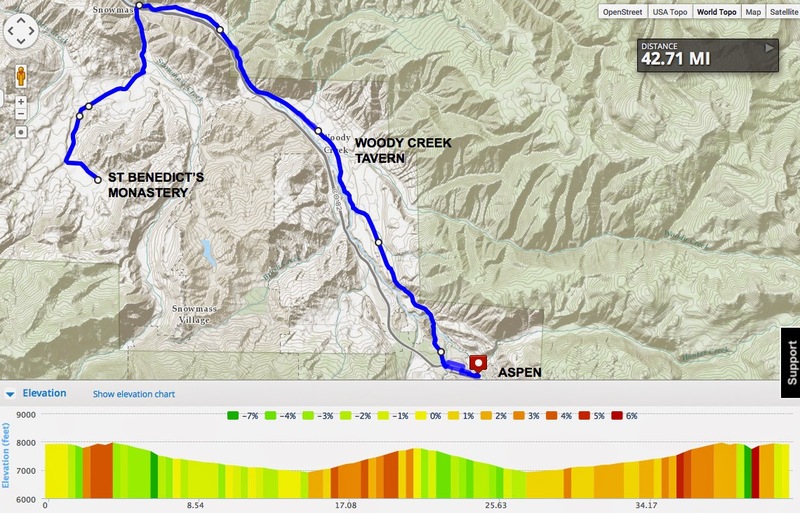 You can ride the route of the USA Pro Challenge Stage 1 (2013 and 2014) with a variation using local bike paths for added safety. 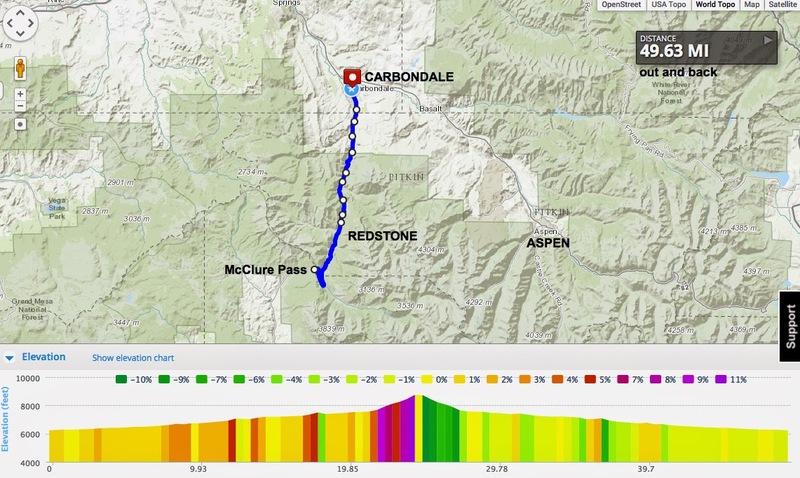 The route is 23 miles. 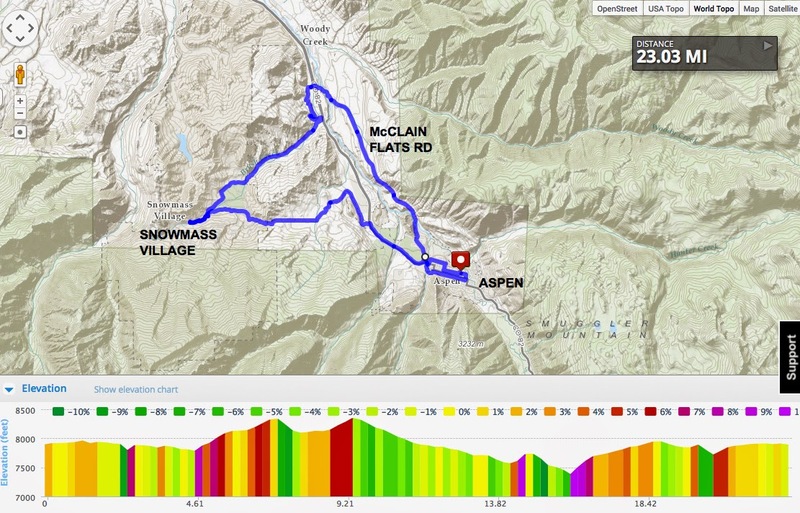 The pros do three circuits (22 miles each) of this route using the main roads. Bike paths are plentiful in the area. 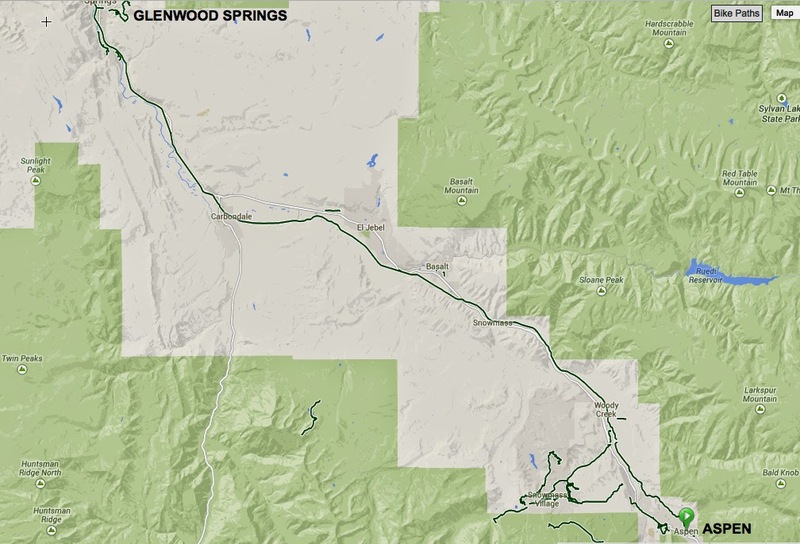 If you prefer their structure or ease in linking up to other beautiful roads in the area, here is the map of local bike paths in Pitkin County (Aspen, Snowmass, Basalt, Carbondale, all the way to Glenwood Springs). 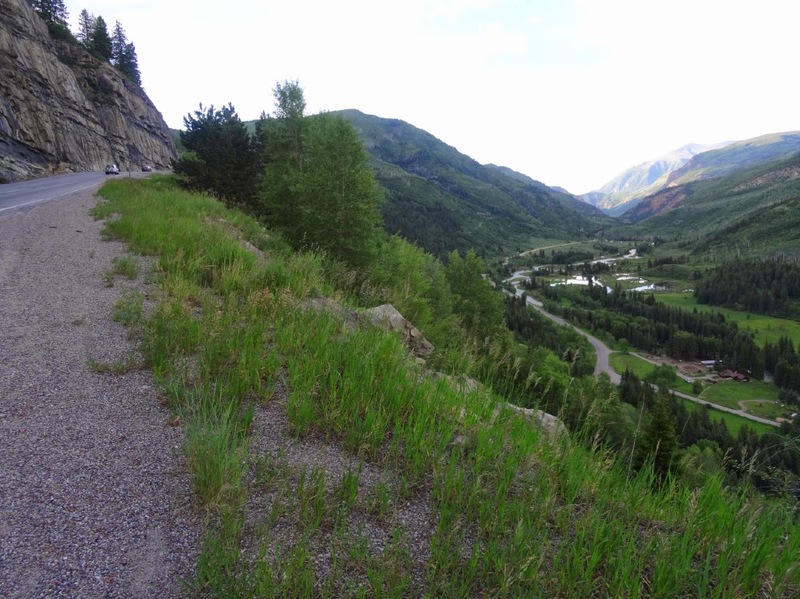 From Glenwood Springs you can ride the bike path east up the canyon. 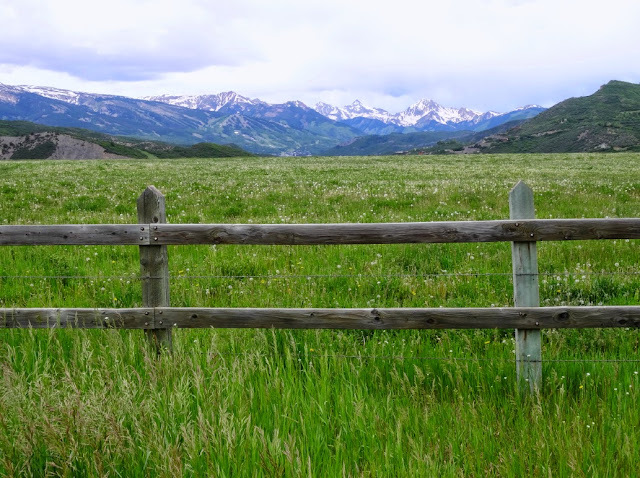 Bike paths can take you swiftly to the inner and outer limits of Pitkin County, designed to keep you off major roads while allowing you to enjoy the beautiful surrounding views. I personally find the seams (tatink tatink) annoying for great distances and the safety questionable, but I do appreciate any local government which has place funds into providing a path for its citizens. The very small towns of Carbondale to Redstone to Marble have a collection of art, cafes, or incredible fall foliage scenery in the autumn. 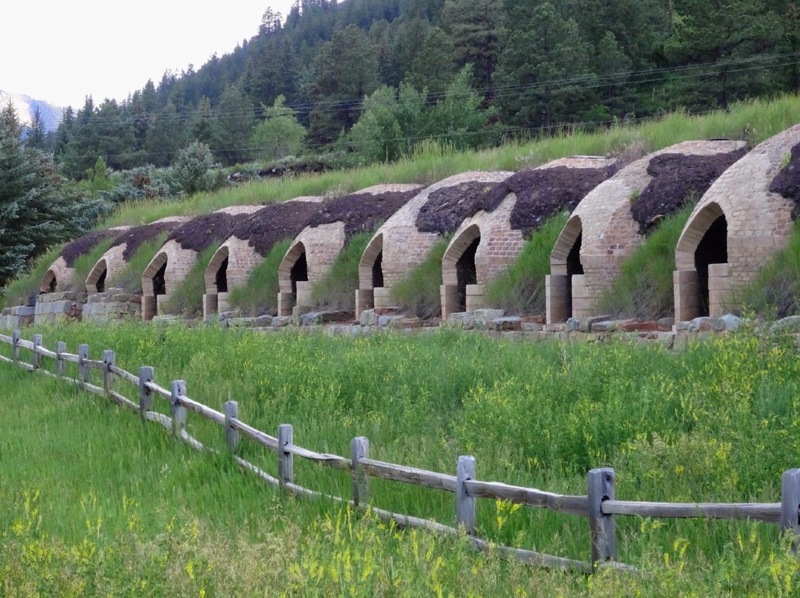 Aspen has a wide variety of events, see a summer calendar here: Aspen Chamber. 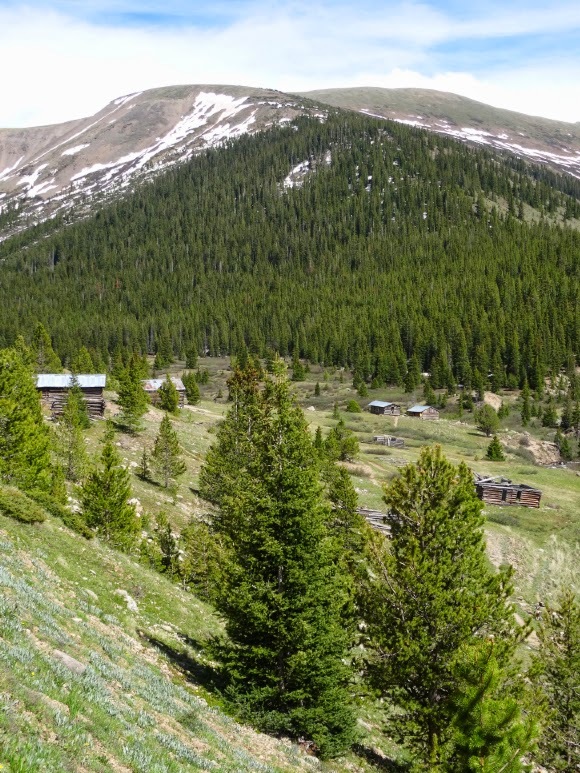 Mountain bike recommendations: near Buena Vista there are some good stretches of the Colorado Trail http://comtb.com/alpine/. 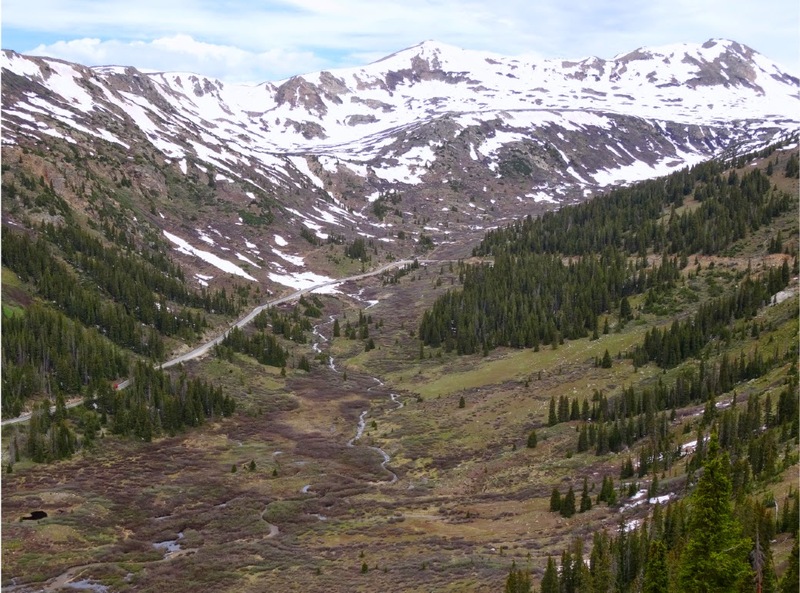 Also Aspen isn't too far from Poncha Springs where the Monarch Crest loop starts and stops. This is a classic ride that's worth the side trip. 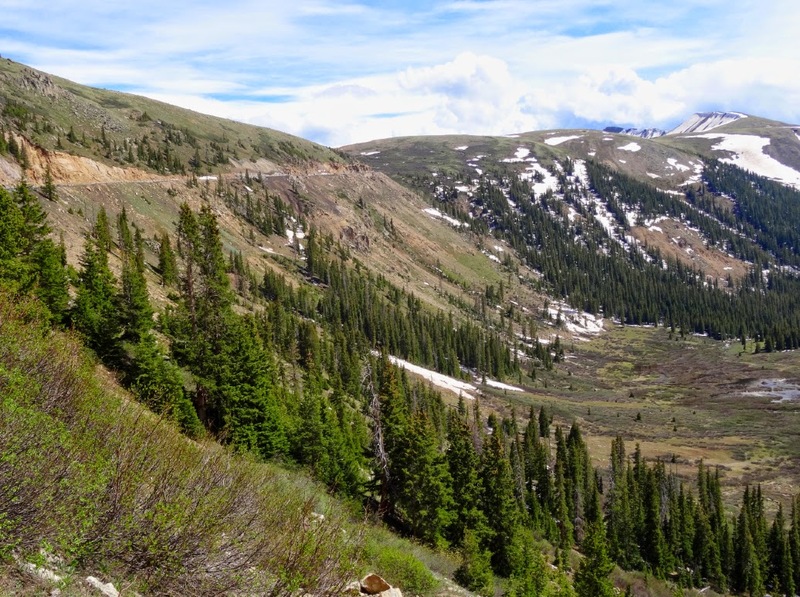 Leadville has lots of old high-altitude mining roads to ride, and there's always the Leadville 100 course. More Colorado Trail (CT) sections nearby. Snowmass and in Beaver Creek offer lift-assisted riding. Tent Camping: I like Difficult Campground (5 miles east of Aspen center), be sure to reserve ahead of time, this is a popular campground located in an aspen grove on the way to Independence Pass. 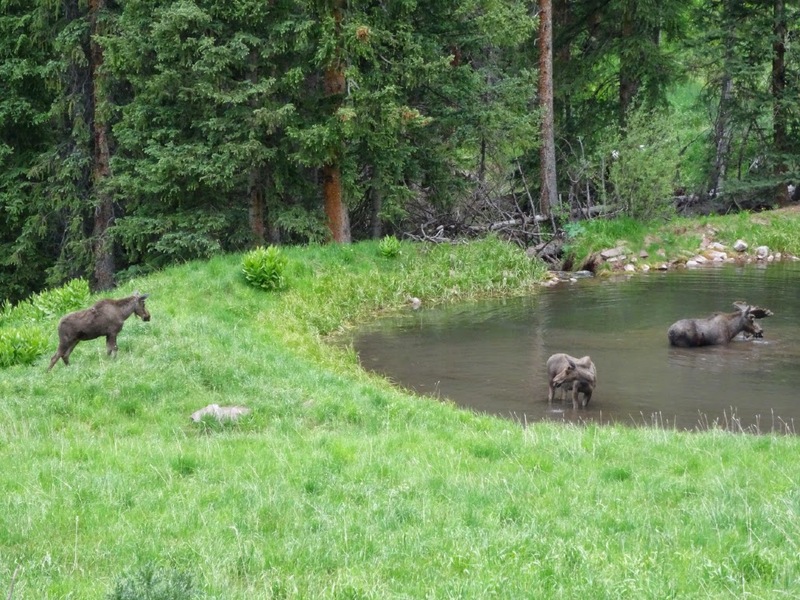 There is also a nice campground up Maroon Creek Rd on the way to Maroon Bells called Silver Bells Campground. 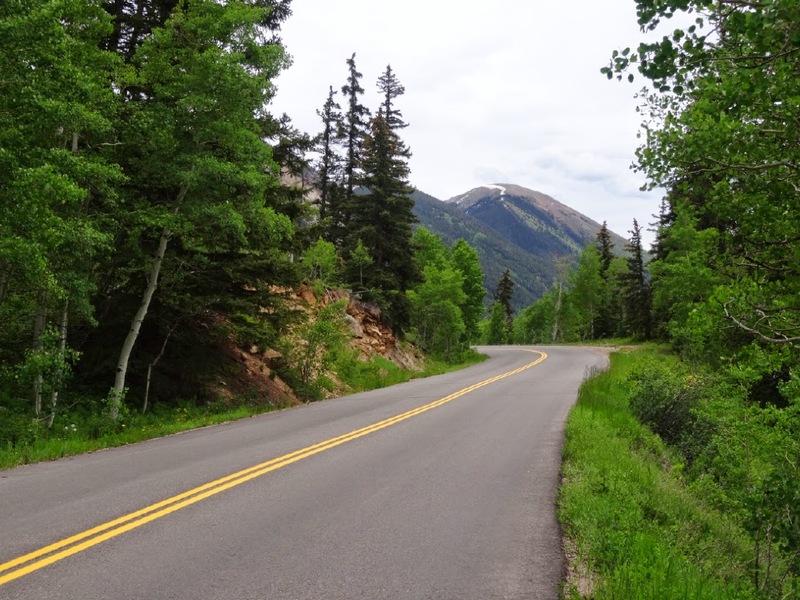 Enjoy your rides and visit to beautiful Aspen, Colorado. I sure did!